Mothers on Trial: The Battle for Children and Custody. In this new edition of her 1986 groundbreaking book, Chesler, a psychotherapist and women’s studies scholar, retires dated material and adds eight new chapters. By supporting her original contentions with new cases, the author demonstrates again that despite commonly held notions, courtroom custody battles continue to victimize mothers and their children, too often favoring fathers who are abusive, neglectful, or otherwise unfit. 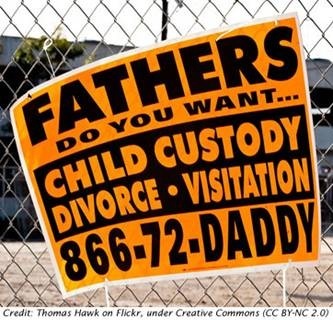 · Chesler presents a good review of present-day legal trends, including the current darling of family courts, the joint-custody agreement. She relies on studies and experts to call into question the effectiveness of joint custody in all but the most mature and cordial of splits. · Updated and revised with seven new chapters, a new introduction, and a new resources section, this landmark book is invaluable for women facing a custody battle. It was the first to break the myth that mothers receive preferential treatment over fathers in custody disputes. · Although mothers generally retain custody when fathers choose not to fight for it, fathers who seek custody often win—not because the mother is unfit or the father has been the primary caregiver but because, as Phyllis Chesler argues, women are held to a much higher standard of parenting. · Incorporating findings from years of research, hundreds of interviews, and international surveys about child-custody arrangements, Chesler argues for new guidelines to resolve custody disputes and to prevent the continued oppression of mothers in custody situations. · This book provides a philosophical and psychological perspective as well as practical advice from one of the country’s leading matrimonial lawyers. Both an indictment of a discriminatory system and a call to action over motherhood under siege. Read more here. It’s been 25 years since Phyllis Chesler wrote "Mothers on Trial" to help women fight their child-custody battles. In this excerpt from her revised book, she reviews what’s changed, for better and worse. (WOMENSENEWS)–Going through a custody battle is like going through a war. One does not emerge unscathed. Yes, one may learn important lessons, but one may also be left broken and incapable of trusting others, including our so-called justice system, ever again. Custody battles can take a very long time. They range from only several years to more than 15 or 20. They may have profound legal, economic, social, psychological and even medical consequences for years afterward, perhaps forever. Documented domestic violence does get factored in somewhat more than before. Where real assets exist, judges have the power to award more of them to mothers and children. Fewer mothers and fathers automatically lose custody or visitation because they are gay or because they have high-powered careers. However, certain injustices (crimes, really) that I first began tracking in the late 1970s have now gotten much worse. For example, battered women are losing custody to their batterers in record numbers. Children are being successfully brainwashed by fathers, but many mothers are being falsely accused of brainwashing. Worse: Children with mandated reporters–physicians, nurses or teachers–who report to them that they have been sexually abused by their fathers are usually given to those very fathers. The mothers of these children are almost always viewed as having "coached" or "alienated" the children and, on this basis alone, are seen as "unfit" mothers. I understand that this sounds unbelievable. But it is still true. The mothers of raped children, who are also described as "protective" mothers, are seen as guilty of "parental alienation syndrome." The fact that this concept, first pioneered by Dr. Richard Gardner and widely endorsed by fathers’ rights groups, has been dismissed as junk science does not seem to matter. Most guardians ad litem, parenting counselors, mediators, lawyers, mental health professionals and judges still act as if this syndrome were real and mainly find mothers, not fathers, guilty in this regard. In 2010 the American Psychiatric Association was still fighting to include a new disorder in the "Diagnostic and Statistical Manual of Mental Disorders": the parental alienation disorder, to replace the debunked parental alienation syndrome. In 2009 and 2010 more than 50 mothers from 21 U.S. states and a number of foreign countries all shared their stories with me. Their cases took place between the late 1980s and 2010. Some cases are still ongoing. In some instances, I spoke with the mothers in person or at length on the phone. Some mothers filled out questionnaires, but many also sent additional narratives and documentation. Some mothers sent me eloquent, beautifully written, full-length memoirs. Some wrote pithy but equally heartbreaking accounts of their marriages and custody battles. With a few exceptions, most of my 2010 mother-interviewees said that the system was "corrupt" and that lawyers and judges don’t care about "justice," are "very biased," or can be "bought and sold." Also, many mothers found that female professionals were often completely taken in by charming, sociopathic men ("parasites," "smother-fathers"), dangerously violent men, and men who sexually abused their children. Good fathers definitely exist. Some fathers move heaven and earth to rescue their children from a genuinely mentally ill mother but do not try to alienate the children from her. If the mother has been the primary caretaker, some fathers give up custody, pay a decent amount of child support (and continue to do so) and work out a relationship with their children based on what’s good for both the children and their mother. These men exist. They do not launch custody battles from hell. 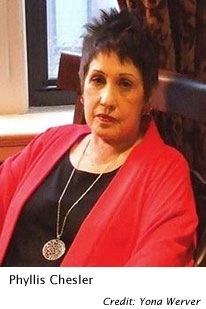 Dr. Phyllis Chesler is emerita professor of psychology and women’s studies and the author of 15 books, including "Women and Madness" and "Woman’s Inhumanity to Woman." She is a cofounder of the Association for Women in Psychology and the National Women’s Health Network. She can be reached through her Web site: http://www.phyllis-chesler.com.